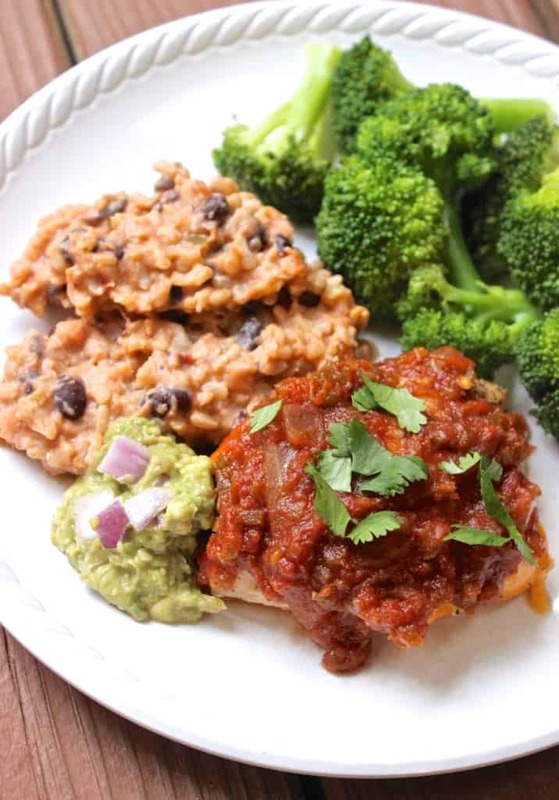 Cheese-stuffed salsa chicken- a super easy, healthy, and delicious entree to serve with steamed veggies and creamy Mexican risotto or brown rice! 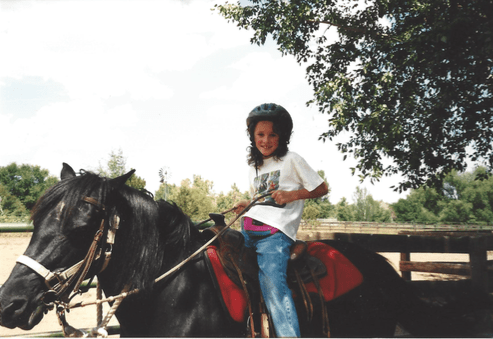 Growing up, my family spent every other summer in Colorado for my parent’s month-long work conference. For the kids, it was a sweet deal since it meant our weekdays were filled with soccer camps, tennis camps, and ice skating camps while our parents worked. During the weekends, we hiked in the Rockies, rafted down the Colorado River, and took family trips to the zoo, the big library, the farm, and the pool. 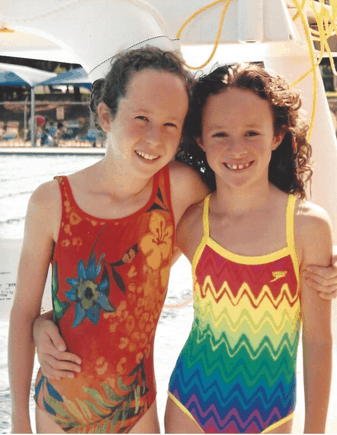 As my siblings and I got older and started having sports practices during the summertime, getting jobs and internships, and having more commitments back home, our summers in Colorado had to come to an end, but I’ll always have great memories from those years. 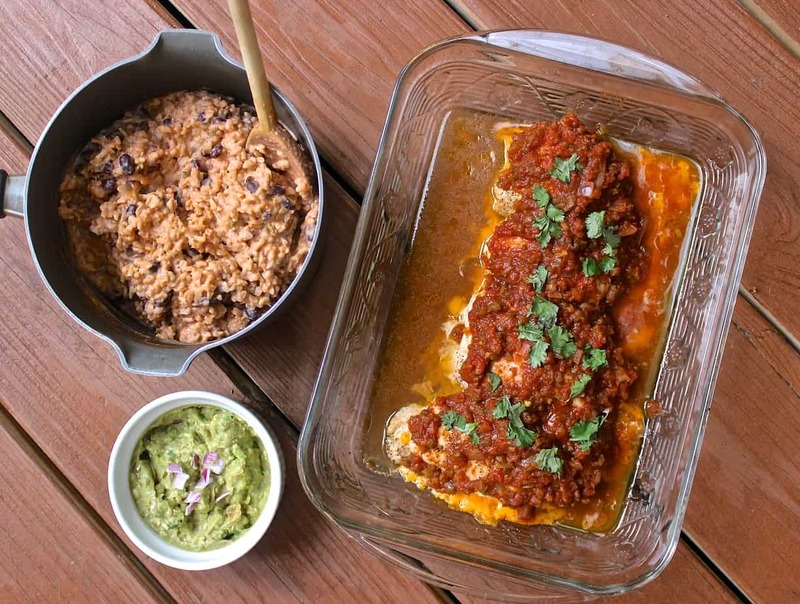 If you made it through that littletrip down memory lane (we’re officially friends now, by the way), you may be wondering how in the world summers in Colorado could possibly relate to this cheese-stuffed salsa chicken recipe. Well, every summer there, we shopped at an awesome health food store called Wild Oats, similar to Whole Foods. 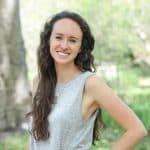 [Colorado natives, do any of you shop there?] The store gave out recipe cards (plus a ridiculous amount of samples, score) every week and I loved to cook even back then, so my mom and I would try out different recipes together. One of my favorite recipes was for this cheese-stuffed salsa chicken and 10 or 12 years later, it’s still part of our family’s dinner rotation. And every time, it still reminds me of Colorado. 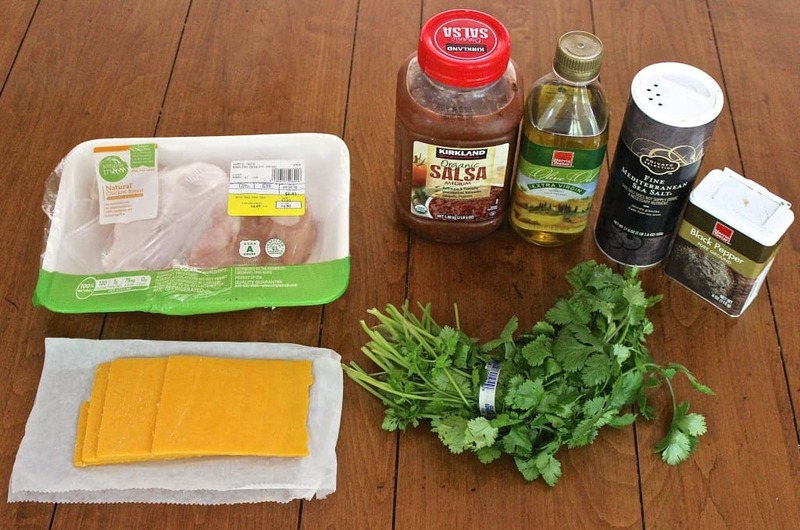 Here’s what you’ll need: boneless, skinless chicken breasts, cheddar cheese (any sliced kind will work), your favorite salsa, olive oil, salt & pepper, and fresh or dried cilantro. Simple ingredients for a super easy recipe! Here’s a handy dandy step-by-step: *Step 1 should say 1/4 inch thick. You can serve the stuffed chicken with a salad or steamed veggies and rice. I usually make plain brown rice, but to jazz things up, I made a Mexican “risotto” type of rice this time. I didn’t use the traditional method of making risotto, which involves slowly adding wine and broth to Arborio rice just a splash at a time, while constantly stirring the rice for 20 minutes or so, and then stirring in cheese and/or cream at the end. Instead, I cooked 2 cups of brown rice (more fiber and nutrients than white varieties! ), and then added a dollop of Greek yogurt for creaminess, a sprinkle of Monterey Jack cheese, a big spoonful of salsa, a splash of almond milk, a cup of black beans for extra protein, and a dash of cayenne pepper for some heat. So, really, it’s a “faux-risotto” but its taste and creaminess rivaled any traditional risotto I’ve had. Hope you enjoy this super easy and healthy meal! Heat oven to 375 degrees and spray a 8x8 inch or 9x9 inch baking dish. Using a rolling pin or meat pounder, flatten each chicken breast to 1/4 inch thickness. 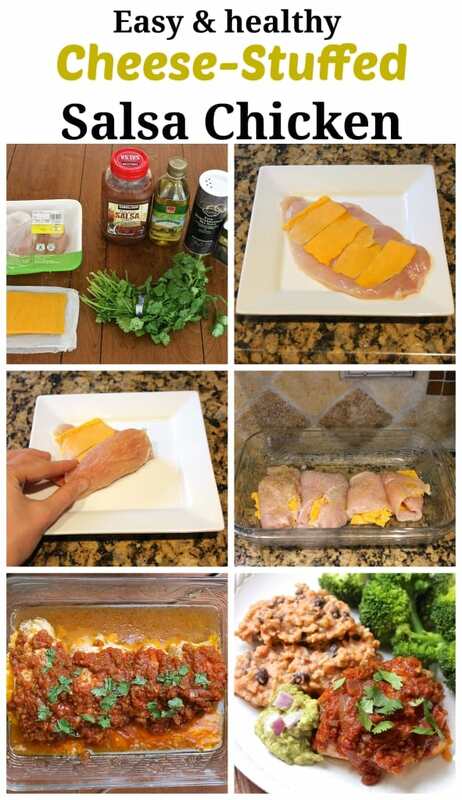 Cut cheese into 4 slices and put one slice of cheese on center of each chicken breast. Roll chicken around cheese, folding in sides. Lay chicken breasts in pan, seam side down and drizzle 1 Tablespoon of olive oil over the top of the chicken breasts. Bake uncovered for about 30 minutes, or until no longer pink in center. Top chicken with salsa and sprinkle cilantro on top. Return to oven for 5 more minutes to warm salsa. 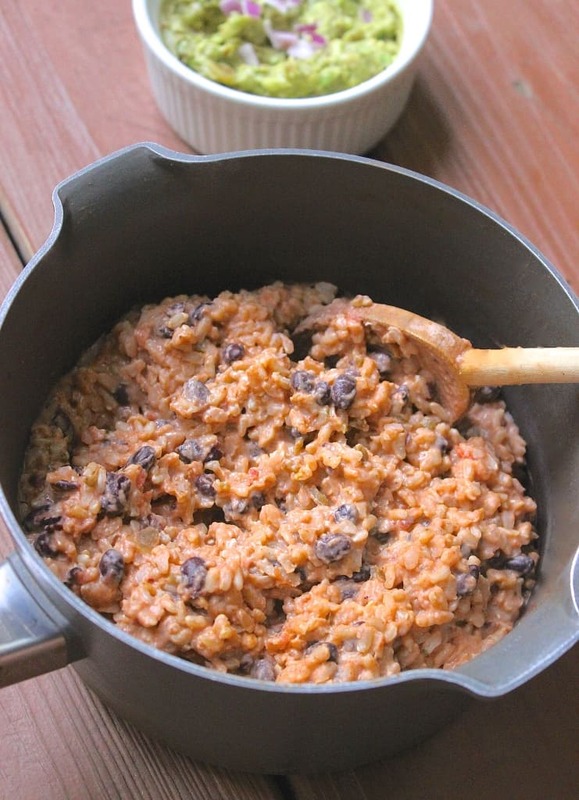 Serve with brown rice or Mexican risotto. Cook brown rice according to package directions. Stir in salsa and Monterey Jack cheese and keep on medium-low heat until cheese melts. Add Greek yogurt, cayenne pepper, and a splash of almond milk for creaminess. Stir in black beans and keep on low heat until serving. 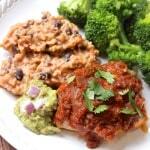 Be sure to use a salsa you love since it's pretty dominant in this recipe. My favorite is Kirkland's Organic Medium Salsa from Costco. Exercising on Vacation- Yay or Nay? Yay for CSU!! I only went as an adult, but I’m sure going there as a kid was awesome! My parents actually went to college there too:) love the idea of stuffing chicken. This recipe is so un-intimidating too! I always thought CSU would be such a great place to go to school, even though I didn’t know much about it other than its gorgeous views and awesome location! So fun that your parents went there. Haha I’m not sure if I’ve ever eaten salsa with a spoon, but that doesn’t sound too bad! I’ve used it for salad dressing before, which was actually really good. I would happily put salsa on everything, especially if there is cheese added as well. Just shows that Mexican food can go so much further than tacos. Salsa would have to be my favorite condiment, if it counts as that! I just kept staring at the guac in every photo… I put salsa on everything, my salads and my omelets especially 🙂 I’m all about (meatless) taco Tuesdays!! I can put salsa or guac on just about anything. I love guacamole on omelets, too! Yay! I’m officially your friend now? Awesome! I’m super jazzed right now! Really, I’m not kidding. I’m weird like that. I love trips down memory lane, both mine and other’s! One of my favorite things on rotation is Garlic Lime Chicken from the Saving Dinners cookbook. It’s one of the only recipes we make from that, by everyone here LOVES it, even though we’ve been eating it like every three weeks for years! Hmm, for your sister, you could leave the cheese out of her piece and roll up the chicken breast without any cheese and it’d still be yummy. Or, you could also put cooked veggies like spinach, chopped bell peppers, or onions in the middle instead of cheese. Hope that helps! Risotto is pretty darn amazing! I have only had it a few times, but it’s creaminess and chewy texture is pretty darn awesome, especially with your chicken and salsa! Aw man, and I thought I was so creative for coming up with that “risotto” recipe 😉 I’m glad you enjoy making it that way, too! Omelets with salsa are so good! Also, this recipe looks so good as well, definitely going to try it! I am a huge fan of the layer dip that has cream cheese, salsa and cheese to top it off, it is a classic dish for our family parties 🙂 The risotto looks absolutely delicious, I can’t wait to give it a try! Uh, that dip sounds AMAZING! This recipe looks super fun and creative, I love it! This looks so delicious and comforting!! Pinned immediately. I am pretty sure this would be a huge hit in our house! It’s going on the menu! So glad to hear it! Hope your family enjoys the recipe!